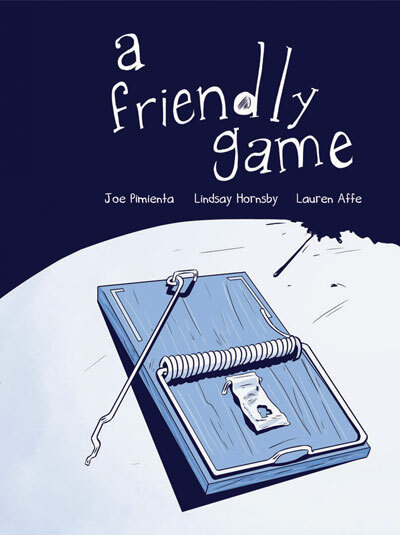 A Friendly Game is a graphic novel project that started in the second half of my undergraduate years of college. What was meant to be a scripting expansion on an 8 page story turned into an intense project spanning over 180 pages with many twists and turns. Friends play many kinds of games with each other: cops and robbers, checkers, tag. The best of friends will make up their own games. Todd and Kevin's friendship is built on such a game. However, the rules and premise are far from the typical childhood games. A dispute amongst the two splits them into very different directions: one sees the game for the cruel act that it is, while the other decides it must move to the next level. The book is published by the folks at SLG Publishing. See sample pages and development sketches on a-friendly-game.com or pick the book up from Amazon.